For my nephew Rob Clegg, who won the race in 1987. Still paddling on YouTube! 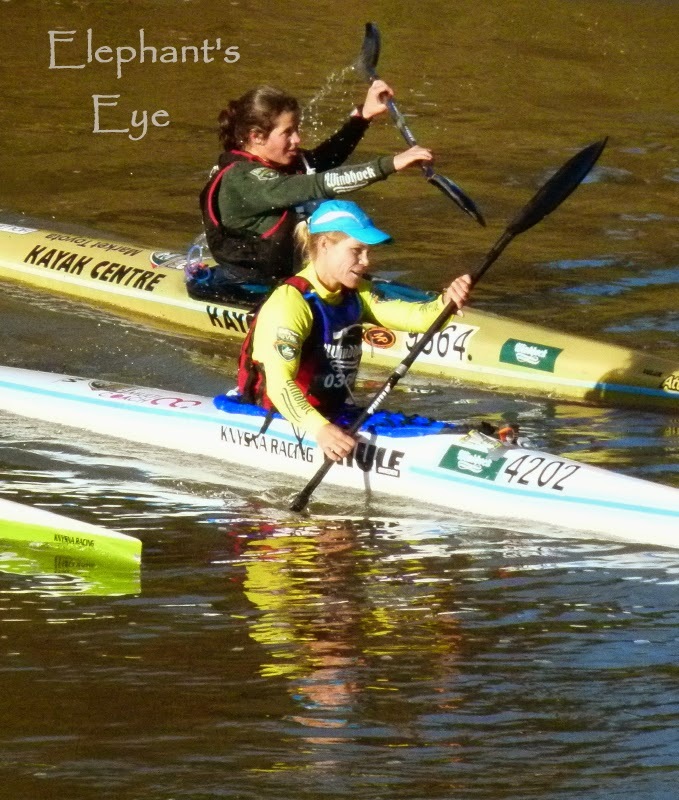 In 2014 the Berg River Marathon will be 16-19 July. Since we'll have other plans then, I'm returning the pictures from 2011. The weather forecast for 2014 is mostly sunny but COLD. 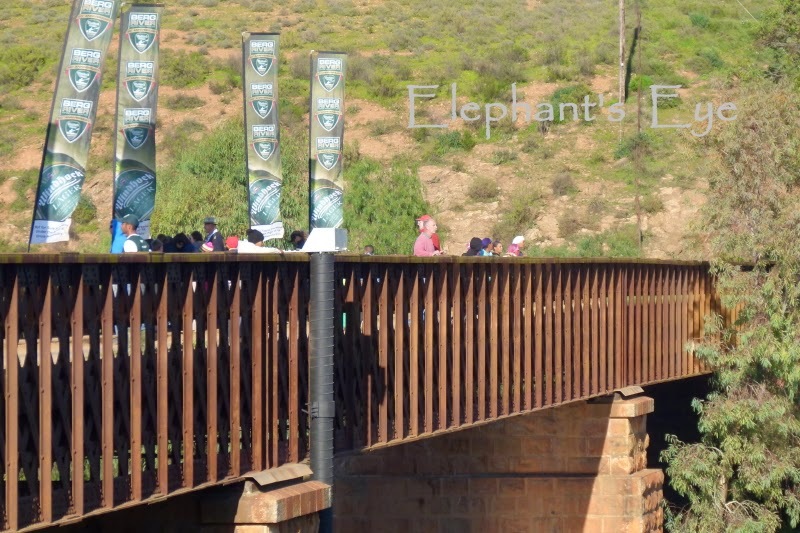 Jurg and Andre went down to the Berg River at Die Brug = Iron Bridge to see the Berg River Marathon. 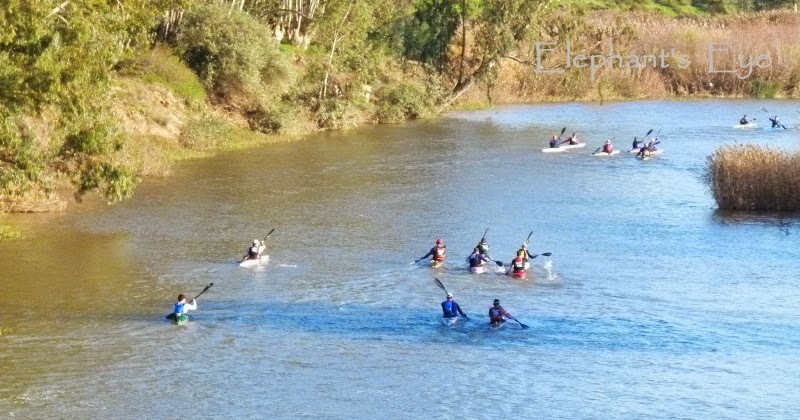 In other years there have been concerns about the water quality, but ‘the quality and quantity of the water in the river will be excellent for the four day race’ and ‘blue gum eradication by Working for Water leaves only one spot where a tree block might need a portage’ for 2011. They arrived to see the first lady paddle past. Said the woman next to the Ungardener - can we see on your camera, is that my daughter, coming first? And the winner is ... (blonde) Michelle Eray! Yes! Banners and people and crazy traffic, so I’m told. June 2010 looking across from the farmlands to the rather lovely old iron bridge. Spanning the Berg River in the middle of nowhere between farms and wheat fields. The very first time we found the bridge. Way back in September 2007 when our Porterville chapter was beginning. They built the bridge here, where the river is narrow after Misverstand Dam, and the valley is deep. 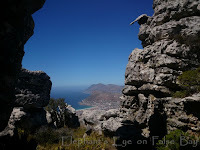 We used to sometimes travel to Cape Town on the dirt road via Zonquasdrift near Gouda. 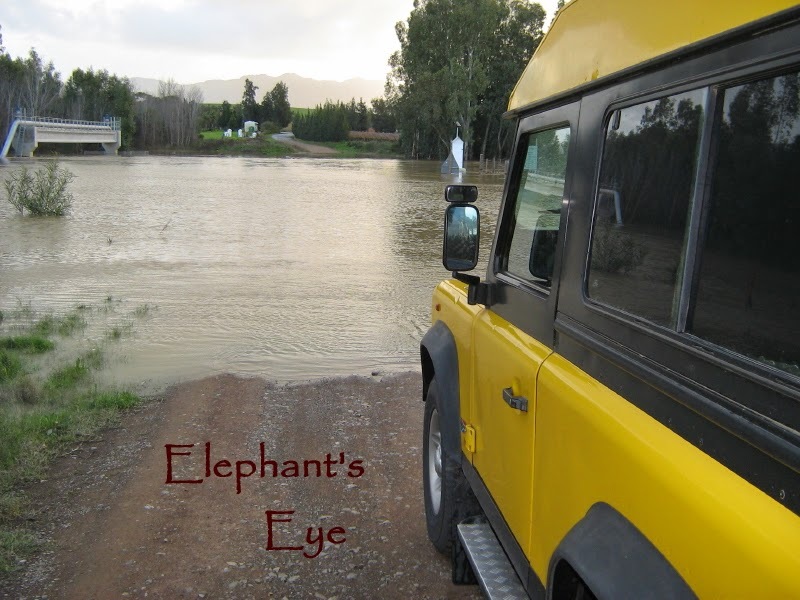 Twice we met this, instead of the usual ford over the Berg River, then had to take a long detour back to the tarred road. There were tall trees near the river, a sense of mystery and history recalling Zonqua or Sonkwa. Sadly the farmer has felled the trees and added an extra vineyard. In the winter floods the new vines are so deep under water that we saw a cormorant fishing among the supports for the grapevines. 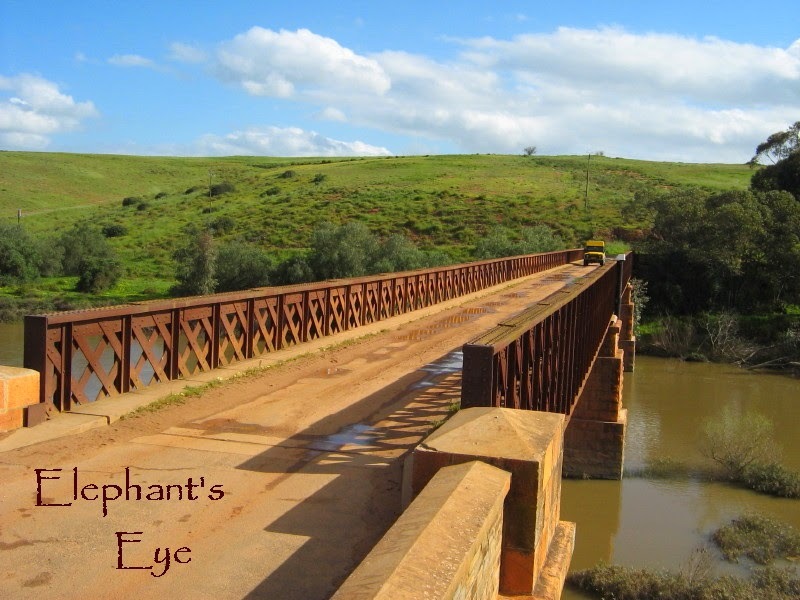 Burchell’s picture of the pont over the Berg River (as Trailrider points out the departed trees were not indigenous). 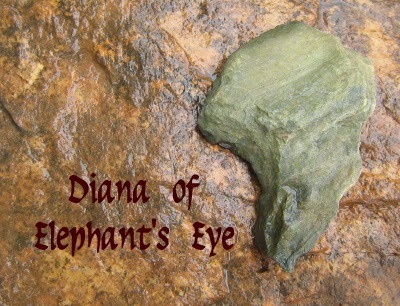 In 1622 along the Berg River there were hippos, rhino, quagga, antelope, lions (and elephants). 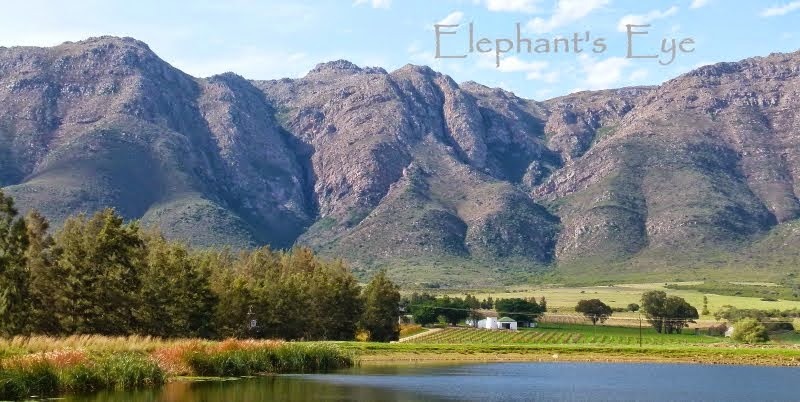 Zonquasdrift was first mentioned in 1718 when there were battles at the ford between the new settlers to the north and the original Khoisan inhabitants to the south. 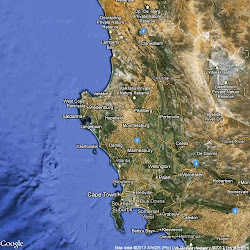 By 1720 the Khoisan were gone. Jan Smuts was born here. just realised I need to add, Berg is mountain in Afrikaans. The river that comes down from the mountain. 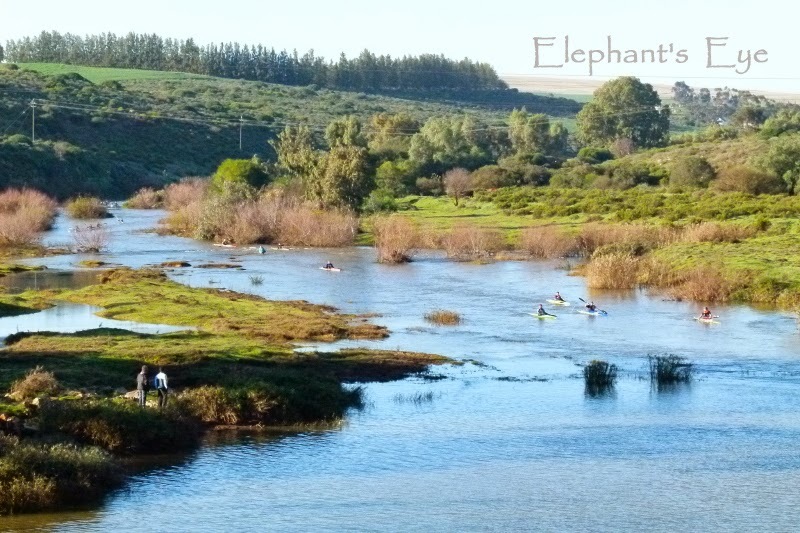 How rich in history is our lovely Berg River! My goodness your scenery is beautiful. 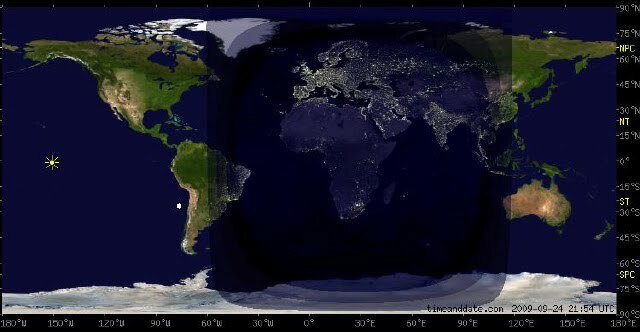 Reminiscent of our area here, but also different. about the trees, South Africa is committed to removing invasive aliens - fire hazard, water hungry, and overwhelm our indigenous endemics. They are also the source of our firewood for our Dovre stove. Fabulous bridge, and such lovely photos brought back memories of my own. My youngest son was a competitive kayaker in his college days, and he still enjoys the sport, paddling around San Francisco Bay. A stunning river and that view down the bridge is fabulous Diana...I wish we could have fun things to do in winter but we are stuck with snow and I don't sky...we have to get back to snowshoeing this winter.